What women does not love roses and with a name like Sierra Rose we just had to have a Rose design. 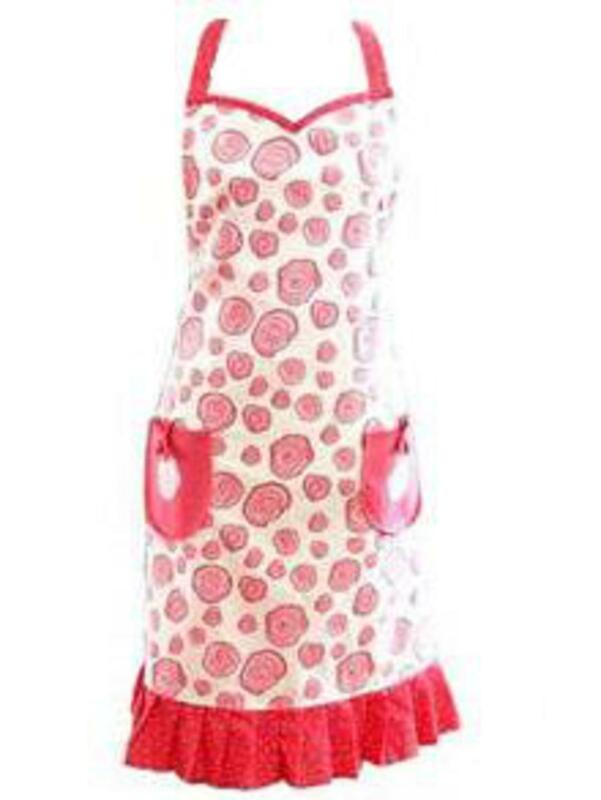 This Women's Rose Apron captures the beauty of pink roses and will be a beautiful classy feature in your home. Our Hostess Apron features a sweetheart neckline, 2 pockets with bows and a ruffled hemline. Ties at the neck and waist.